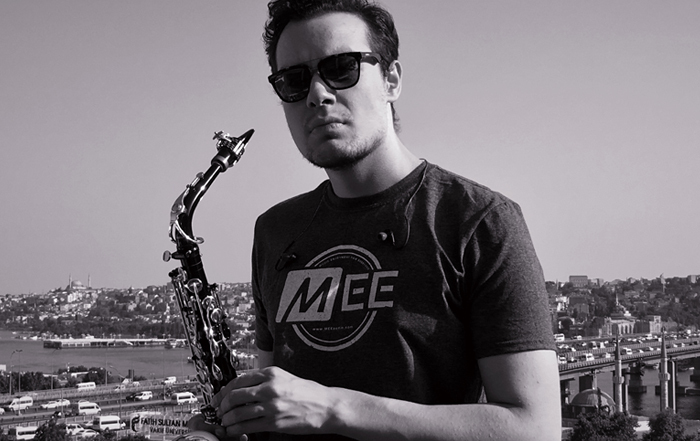 After encouragement from his saxophonist father Mümin Şallıel, Batu started his musical career by the age of nine. In 2010, he attended London College of Music certification program in Turkey and graduated with a degree. Batu started his professional musical journey at the age of 15. He has played with famous jazz musicians and pop singers such as, Aşkın Arsunan, Aycan Teztel, Şenova Ülker, Volkan Öktem, Önder Focan, Ferit Odman, Kağan Yıldız, Ozan Musluoğlu. Mehmet Erdem, Alper Atakan, Atiye, Göksel, Yeni Türkü, Burcu Güneş, İskender Paydaş. By 2012, they formed What Da Funk project with Anıl Şallıel and hosted various gigs with Kelli Sae, Omar, Gülçin Ergül, Bay J. Batu has played in 50 different metropols of Turkey and attended many International Jazz Festivals. By March of 2014 he applied to Riga International Jazz Stage (a Jazz Saxophone competition with the support of Önder Focan) and got accepted to the competition with ten international players from various countries. On April 3 2014, he came out on top in the semi-finals and by April 4, he had won in the finals at the age of 19. He has received, Grand Prize, Best Jazz Improvisation Award, Invitation to play at Fashing Jazz Club at Stockholm and International Riga Saxophonia Festival. He has appeared in The Best Of Riga Jazz Stage 2014 Album with Aşık Veysel’s masterpiece “Uzun İnce Bir Yoldayım”. Currently, he is a member of Mehmet Erdem’s band and Önder Focan’s Standard A La Turc group since 2014. In September 2015, he formed Şallıel Bros Funkbook Project with Önder Focan, and has been interpreting Önder Focan compositions in a funky way. get the latest news. sign up for our newsletter. Copyright © 2019 MEE audio. All Rights Reserved.